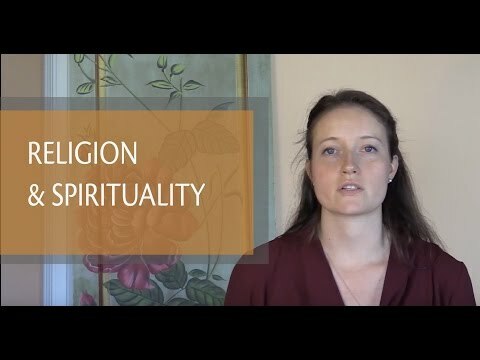 While America’s very foundation was rooted in the pursuit of religious freedom, we have still struggled across the centuries to understand the true meaning of spirituality and to sustain an attitude of tolerance and respect for each individual’s right to decide what spirituality means to him or her personally. The struggle began in the mid-1500s, when French and Spanish pilgrims in search of religious freedom established colonies in Florida, but not without some bitter battles. Then in 1620, as the fabled story goes, the Pilgrims, persecuted in England, came to America aboard the Mayflower, seeking religious freedom. Then came the Puritans. And since then, millions of people from all over the world have followed, believing that America was a melting pot that welcomed people of all faiths and creeds and granted each the freedom to practice his or her own faith without fear of persecution. Then, as now, the struggle to define, clarify and understand spirituality has been, first, about clarifying the difference between spirituality and religion. Historically, the words spirituality and religion have often been used synonymously, conflated to have the same meaning. But they don’t, or at least, they don’t necessarily. One can be religious, yet not be spiritual (connected to the divine energy that created the universe). And one can be spiritual without being religious (devoted to a specific doctrine, set of beliefs or rituals). Over the centuries, various spiritual messengers or prophets attracted followers and entire, separate religions were built around their teachings. These prophets were speaking in different countries, different languages and at different periods in history, yet many spoke about the same core truths: The truth of the spirit within us and the ultimate goal of a human life — to achieve enlightenment. But throughout history, humans interpreted the messages of prophets in idiosyncratic ways and split into various factions based on their interpretations (or, in some cases, misinterpretations) of those messages. Often, these religious leaders were driven by ego, believing that only their interpretations could be the right ones, and that their religion was superior to all others. What might have begun as esprit de corps could quickly morph into a sort of polarizing tribalism that only further obscured the truth of spirituality. The spirit and the innate subtle energy system are found in all human beings, regardless of race, religion, socioeconomic status, age or gender. The Sahaja perspective of spirituality has always been that spirituality is the true religion within oneself and that there cannot be any other true religion. Spirituality is the absolute truth that transcends all religions that exist today in their current form. It is religion-neutral. Thus, today’s religions are man-made structures. 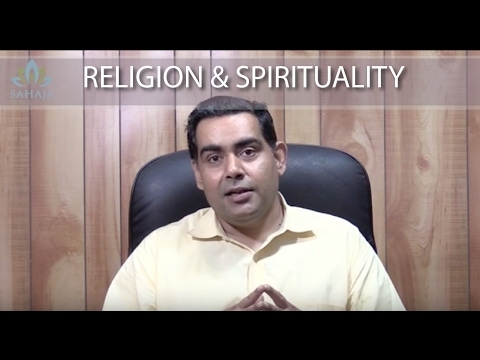 For an in-depth look,see spirituality vs. religion. Most of us have an origin within one religion or another. Growing up in 20th century U.S., most people you met were either Christians, Jews, or non-religious. Certainly within Christianity, there were (and still are) many different denominations, including Protestants (e.g., Baptists, Methodists, Presbyterians, Lutherans, etc. ), Catholics, Mormons, various Evangelical movements and others. Before the colonial period, spiritual history in the U.S. was dominated by Native American spiritual practices. While they’re quite diverse, most include the supernatural ideas of an omnipresent, invisible, universal force, spirits, visions, shamans, ceremonies or rituals (often communal) and address the ‘three ‘life crises’ of birth, puberty, and death” (Utter, 2001). Spirituality is not a religion to many Native Americans who view spirituality as a way of daily life, rather than a system of organized religious meetings. Native American spiritual practices share common beliefs with some Eastern practices, such as a strong reverence for animal life, the environment, and elder leaders. Owing in part to many flavors of Christianity that had large followings, the spiritual makeup of Americans ultimately became quite diverse, especially compared to countries where one religion has dominated for centuries, such as: Hinduism in India, Catholicism in Italy and Ireland, or Islam in Iraq and Pakistan. We Americans were socialized to believe that we have freedom of choice in all things and spirituality is no exception. We have many religions to choose from and most of us were taught that you’re supposed to pick one and stick with it. We were also conditioned to accept that spirituality requires regularly attending church or synagogue. Then along comes yoga and meditation. Certainly, some old traditional practices found in some Western religions (e.g., different forms of prayer or chanting) share common ground with some Eastern spiritual practices, but sitting quietly for its own sake was perhaps a relatively new idea in America. We were inclined to think of meditation as contemplative, meditating on something, a way of working with our thoughts, while in the East, meditation was about letting thoughts settle down, or in the case of Sahaja meditation, achieving a state of thoughtless awareness. In the East, meditation was viewed as inner quiet that promotes awareness of the larger reality in which humans exist. People who grew up in Eastern countries viewed meditation as a “normal” spiritual practice and Eastern forms of yoga and meditation were beginning to gather steam in the U.S. by the early 1960s, even if not in the mainstream. Well, what were Americans to make of that? After all, we weren’t socialized to accept meditation as a common practice and certainly not to accept it as a vehicle to spirituality or a form of spirituality in itself. Did meditation “count” as a religion? We grew up in churches and temples and synagogues, not ashrams or monasteries. It was not that none of use had never been exposed to meditation (though it might be fair to say that many of us hadn’t been). As far back as 1893, an Indian swami named Vivekananda had famously electrified audiences at the World Parliament of Religions in Chicago. In the 1940s, after World War II, some American soldiers stayed in Asia and entered monasteries to absorb the unique Zen way of life. When they returned home, they brought Eastern spiritual practices (primarily Buddhism) and other elements of Eastern culture home with them. Having seen the atrocities of war up close, these soldiers, it’s been said, were fascinated by the dignity of meditation practitioners who seemed impervious to suffering. 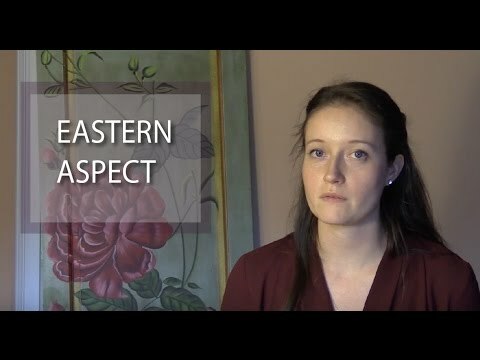 Eastern Influence in American Literature. Influences from India, China, Tibet and Japan slowly seeped into American literature in the late 1950s, the moment in time during which the so-called “beat generation” was poised to launch the cultural revolution of the 1960s. Concentrative forms of meditation such as Transcendental Meditation were famously popularized in the 1960s by the Beatles and their association with Transcendental Meditation guru Maharishi Mahesh Yogi. And of course, the Dalai Lama, who first visited the U.S. in the late 1970s, became a popular figure in mainstream American media, which increased American interest in Buddhism and Buddhist meditation practices. By the 1970s, American neuroscientists, clinical researchers and psychologists began to look more closely at the underpinnings of consciousness, and the effect of meditation and relaxation therapies on mental health, motivated in part by the growing interest in Eastern spiritual practices. Studies begin to spring up. And while many of those studies were inconclusive (or incorrectly conclusive), due, in part, to a lack of awareness of the critical differences between meditation techniques, the quest to pinpoint the specific health benefits of meditation had begun. So now, in addition to the spiritual interest in meditation, there was a strong secular interest in meditation. Meditation was becoming many things to many people. And while this was, generally, a good thing, it was bound to create some confusion. Yoga and meditation had landed in the midst of a fanciful, new agey period where people were more interested in sampling the smorgasbord of options than committing to one. To many Americans, meditation and yoga were still “exotic.” In the melee that surrounded the various forms of meditation sweeping the nation, curious Americans were guru-hopping and spirituality window shopping, many of them more interested in variety and experimentation than settling into the real work of developing expertise with one right technique and sticking with it long enough to reap the benefits. But some of these forms of meditation (especially Zen and Tibetan Buddhist practices and Transcendental Meditation) managed to establish deep roots in American culture. They were the foundations from which other spinoff forms of meditation would blossom, such as mindfulness meditation, compassion meditation and loving-kindness meditation, which arose from Buddhist meditative traditions such as Vipassana. And in the years that followed, psychotherapists and other physicians would prescribe meditation for anxiety, depression and stress reduction. Major U.S. corporations and hospitals would create ‘meditation rooms.” Meditation had finally entered the mainstream. Why Aren’t More People Meditating? More Americans became interested in seeking out a guru, teacher or spirit guide to show them the path to enlightenment. Some no doubt found it, but others found that actually achieving enlightenment or self-realization wasn’t as easy as it was cracked up to be. Some charismatic gurus even turned out to be little more than con artists, more devoted to parting Americans with their money than guiding them to enlightenment. In many cases, meditation/yoga was, or became, a burgeoning commercial enterprise. But wait… is that what meditation/yoga is supposed to be — a profitable business? And what’s the difference between meditation and yoga, anyway? Over time, the meaning of yoga became commonly misconstrued as a system of postures, breathing and stretching exercises. But that’s not what yoga is. The true meaning of yoga, traced back to its origins, is union. Sahaja meditation in fact originated as Sahaja Yoga – the union of the Inner Self with the cosmic or all-pervading energy. Meditation is the vehicle through which union is achieved. In Sahaja Yoga, this union is the profound connection of the Kundalini energy that we all have within us to the all-pervading divine energy — the force of nature that created this universe and everything and everyone in it. This powerful union nourishes and energizes our chakras (energy centers) and puts us on the path to self-improvement and, ultimately, self-realization or enlightenment. It seems that many of the Eastern gurus who teach various forms of yoga and meditation to Westerners don’t necessarily understand the true meaning of yoga themselves, which has further perpetuated the Yoga Misunderstanding. Ultimately, the quest for profit by some of these so-called gurus created a huge commercial market that exploded and proliferated in hundreds of ways — yogawear, yoga mats, meditation incense, meditation music — anything that anyone could think of to make a buck. Yoga or meditation (or the reasonable facsimiles thereof) had become a commodity, a highly profitable product. Perhaps further complicating matters was the inherent nature of meditation. It is subtle and inward-focused, whereas, the more physical faux yoga (postures, stretching, and breathing exercises) is more visible, tangible and outward-focused, thus easier to grasp and faster to catch on. With meditation, people could theoretically try very hard and spend lots of money on gurus or instructors, yet receive little or no true benefit for their efforts, especially if they happened to get stuck with an inexperienced or ineffective instructor and/or an ineffective or just plain hard-to-learn meditation technique. Because faux yoga really doesn’t require much from us and is relatively difficult to “fail” at it, it was bound to become popular and even eclipse true yoga/meditation. And in fairness to faux yoga’s practitioners, it might be hard for them to become aware that the true meditation type of yoga can offer so much more. After all, even faux yoga can provide some relaxation benefits, stress relief, and perhaps even give one a sense of spiritual connectedness. But the differing techniques of yoga and meditation making their way across the U.S. didn’t necessarily all have the same view of spirituality either. Even amongst the spiritual forms of meditation, spirituality itself seems to have multiple meanings. 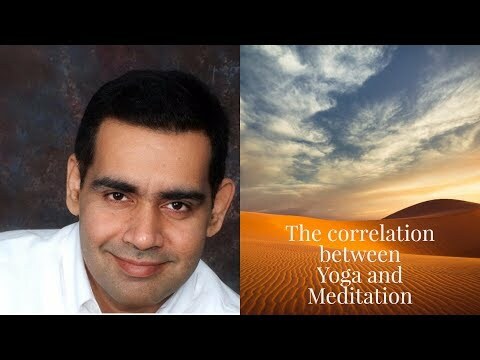 Some meditation and yoga techniques aim to connect the practitioner, ultimately, to the universal divine or to a particular deity or deities; others view spirituality as connecting to one’s own spirit or inner self in more of a mental health, self-improvement, self-help sort of way. The ultimate result of all this confusion is that the meditation type of yoga became much less visible and “popular” than faux yoga, which, driven by charismatic “gurus” and a marketing juggernaut, became the de facto standard for what the word “yoga” means in America. Today, most everyone in the US is at least vaguely aware of meditation. Most probably even suspect that it would be good for them, but somehow, they just don’t get around to trying it. The most common excuse is: “I don’t have time.” But of course, we usually manage to find time for what we value most. So perhaps the real problem is that many Americans have not yet come to see its value. Americans are a practical bunch, after all — always looking for the bottom line. It’s probably also fair to say that many of us tend to be outwardly driven and outwardly focused, deluded by the notion that fulfillment and “success” comes from what we do rather than who we are inside. Thus, checking off items on a To-Do list might seem more important than an endeavor like meditation. But the quality and success of our actions is driven by the health, happiness and spiritual well-being of the Inner Self. You’ll hear people say, “Meditation didn’t work for me.” Or, “I’m not good at it.” It is an unfortunate reality that too many people throw in the towel on meditation before they’ve really had an opportunity to understand what it can do for them. Perhaps the technique was too difficult to master or the instructor wasn’t effective. We are a nation of do-it-yourselfers, which means that we may tend to assume that we should be able to teach ourselves to meditate. Some may pull that off, but in the beginning, most of us could use proper instruction from an experienced instructor, which will ultimately allow us to meditate effectively on our own, in our own way, whenever we choose. Historically, in the US, there was little exposure to meditation or yoga techniques that could allow one to discover the Inner Self, achieve self-realization, and directly and near-effortlessly access one’s own true spiritual truth. But this is exactly what spirituality has been all along — a simple method of connecting the Inner Self to the cosmic, all-pervading spiritual power, which enables us to improve our personal qualities and, ultimately, to achieve enlightenment or self-realization, if we so choose. In 1970, Shri Mataji Nirmala Devi, a renowned spiritual guru who hailed from India, developed a technique to do just that, to make this spiritual connection accessible to all human beings: Sahaja Yoga (also known in the U.S. alternately as Sahaja Meditation since it involves primarily meditation and not yoga as understood by the majority of Americans). Shri Mataji’s technique was designed to raise anyone’s inner (Kundalini) energy easily and spontaneously through a sequence of simple steps with no prerequisites, “spiritual tests,” or previous experience required. She toured the U.S. in 1973, but didn’t succeed in spreading the spiritual message of Sahaja Yoga to a large number of Americans until her return in 1983. Twice nominated for the Nobel Peace prize, she went on to tour America frequently throughout the 1980s and 1990s, giving lectures and radio interviews, participating in medical conferences, and helping many Americans embark upon their own spiritual journeys. Sahaja is a practice of meditation that enables us to achieve a unique state of consciousness. This state, known as thoughtless awareness, makes us feel peaceful and balanced, while, over time, improving every aspect of our mental, physical and spiritual well-being. Sahaja meditation offers Westerners the best of both worlds… the ancient spiritual secrets of the Eastern mystics and monks distilled to a simple technique that harnesses the power of the ancient Kundalini energy, combined with American views of self-improvement, spirituality, and self-realization or enlightenment. Sahaja meditation integrates the spiritual aspects of meditative practice with practical self-improvement goals. Traditionally, in the East, the two were often seen as separate paths, not connected to each other. Through the techniques of Sahaja meditation, Americans find that it was possible to make a direct connection to the source of the truth without becoming entangled in any elaborate matrix of religious beliefs, rules or rigid beliefs. In fact, the real and tangible experience of the inner energy system determines each person’s journey. There is no need to cling solely to faith-based paradigms of spirituality. Constant feedback from your energy system will lead you to truth. 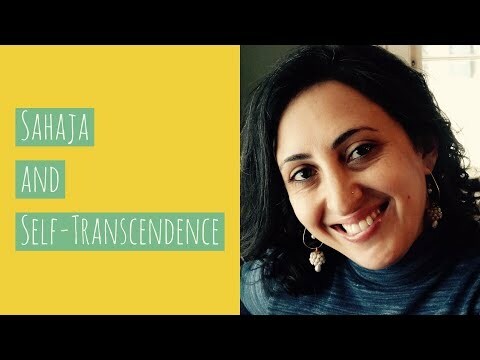 Becoming attuned to your own inner energy through the practice of Sahaja is ultimately a do-it-yourself spiritual technique that gives the practitioner full control over his or her own spiritual path. And along the way, guidance and support from experienced practitioners in your community is always available if needed, as it is on this website. Sahaja meditation techniques can provide both the health-and-well-being benefits associated with energy-based meditation, as well as a path to pursue a deeply spiritual experience for those who choose to. Sahaja consultation, classes or programs are always free. There are no strings attached. There’s nothing to buy. As intended by its founder, Sahaja meditation is not and will never be a commercial, for-profit enterprise. We are all born with the inner energy inside us and the awakening of the Kundalini — and spiritual truth — is our birthright, thus it cannot and should not be “bought” or “paid for.” True spiritual meditation should be free. Today, Sahaja meditation is practiced routinely all across America, and Americans can reap the benefits of this powerful spiritual practice in their own homes, rather than needing to seek spirituality in remote corners of the world such as the Himalayas. For many Americans, Sahaja meditation has become a lifestyle choice, a routine part of family life. Utter, Jack. American Indians: Answers to Today’s Questions. 2nd edition. University of Oklahoma Press, 2001. P. 145.